Trilobite Safari - We visit the famous Filon 12 Mine that exist to mine mineral specimens to sell in rock shops around the world. A Geological Safari - Namibia is famous for its minerals and many visited sites are mineral sites. 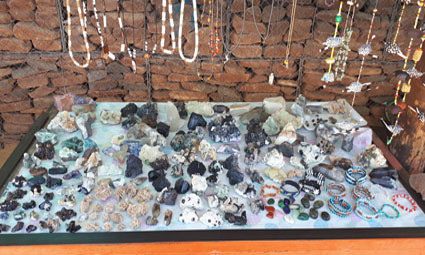 There is also the oppotunity to buy minerals from vendors. Castles and Dragons - we visit the Cwmystyth mine where we can find our own specimens of chaclopyrite and galena.